The 2010 BMW X5 offers impressive handling and features, but lacks the styling and interior that makes competitors pop, while the X5 M offers nearly sports car levels of performance with all the utility of a standard X5. The BMW X5 gets new updates again this year, but rather than the dramatic changes some had hoped for, styling remains somewhat bland. For 2010, the BMW X5 does pick up one major update: an all-new, 555-horsepower twin-turbocharged performance model, the X5 M. Pricing starts from $47,500 and ranges up to a beginning price of $85,400 for the X5 M. That's about on par with Porsche's Cayenne and Mercedes-Benz's M-Class, two of its key competitors. For the 2010 model year, the X5's exterior and interior styling remain much the same as the previous year, though the aggressive X5 M adds a new level of flair, thanks to its huge air intakes and large wheels. Even so, the X5 has never been a knockout, at worst being inoffensive, though its interior is modern and accommodating. Several levels of performance can be had, with two standard gasoline models-the xDrive30i and xDrive48i-joined by the xDrive35d diesel and the high-performance X5 M. The new 2010 xDrive35d diesel features BMW's BluePerformance Technology to incorporate AdBlue injection with an inline-6, making BMW's diesel technology clean enough to be sold in all 50 states. At peak, the xDrive35d makes 425 lb-ft of torque at 1,750 rpm and 265 hp at 4,200 rpm. The diesel drives a lot punchier than the xDrive30i's 260-hp, 3.0-liter gas inline-6. It's also better than the available xDrive48i 350-hp, 4.8-liter V-8 unless you regularly tow heavy loads. 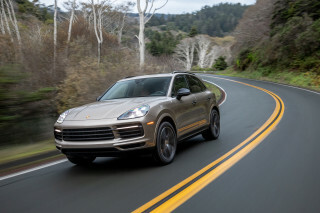 The 555-horsepower twin-turbocharged X5 M, on the other hand, is the sports car of this SUV bunch, with enough power to temporarily make you forget you're at the wheel of a 5,000-pound-plus vehicle. All 2010 X5s use a 6-speed automatic to send power to the standard all-wheel-drive system, though the X5 M's advanced M Dynamic stability control adds another layer of control and assistance to the standard stability program. EPA-estimated fuel economy for the X5 ranges from 15 mpg city/21 mpg highway for the entry-level xDrive30i to 14/19 mpg for the xDrive48i and a somewhat more impressive 19/26 mpg for the diesel xDrive35d. The X5 M pays for its power with thirst, rated at 12 mpg in town and 17 mpg on the highway. Handling is atypical for an SUV-the 2010 X5 actually handles rather well. Despite the height of the 2010 BMW X5, it stays planted in corners, the all-wheel-drive and stability control systems doing their best to keep things in line; this is particularly true of the highly capable X5 M. The automatic transmission conveys solidity and quality, smooth at cruising speeds and under acceleration in Sport mode. 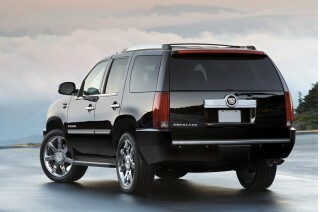 The available Sport package adds 19-inch wheels, run-flat all-season tires, and adaptive shocks. Even without it, the X5's composure isn't challenged by slightly extra-legal speeds. Though only the X5 M is bred for the track, all X5s communicate confidence with solid, stable braking and good steering feedback. Comfort and utility certainly don't take a backseat in the X5. With three rows of seating, the 2010 X5 has ample head- and legroom for seven passengers, as well as plenty of space for your gear and groceries. Front seat passengers get most of the amenities, though rear seat comfort is still very good. Third-row seating is small, but better than some in the class. The flexibility of the seating space is par for the class, with split folding rear seats to fit larger objects, plus a cargo cover to keep valuables hidden and out of the sun. A total of 61.8 cubic feet of space is available with all rear seats flat, or 21.9 cubic feet with all seats upright. Interior fit and finish is characteristically BMW-close tolerances and quality materials abound. The X5 is an Insurance Institute for Highway Safety (IIHS) Top Safety Pick, also taking top marks in National Highway Traffic Safety Administration (NHTSA) crash tests, earning five stars in most tests, except for a four-star frontal impact passenger rating and a four-star rollover rating. 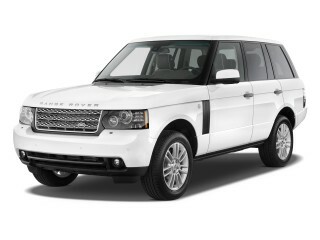 Standard safety options include dual front and side airbags, plus pre-tensioning seatbelts, front and rear head-protecting airbags, adaptive brake lights, and a central locking system. A long list of standard and optional features makes the X5 a luxurious ride that can be pushed over the top to fully loaded. The only real complaints with the X5 can be traced back to the curiously complex iDrive controller responsible for audio, navigation, and climate control. Some of the features that come standard include a 10-way power adjustable driver's seat with memory settings, HD radio with anti-theft AM/FM/CD stereo, seats that configure into a number of cargo and passenger formations, dynamic cruise control, and speed-sensitive power steering. Optional equipment includes a range of packages that can add premium interior elements like Nappa leather, wood and metal trim, and unique color combinations, or high-tech equipment like smartphone integration, a heads-up display, USB and iPod integration, active steering, multicontour seats, and of course, navigation. Despite a general attraction to the 2010 BMW X5 inside and out, TheCarConnection.com finds most reviewers aren't compelled by the experience. For the 2010 model year, the X5's exterior and interior styling remain much the same as the previous year, though the aggressive X5 M adds a new level of flair, thanks to its huge air intakes and large wheels. Even so, the X5 has never been a knockout, at worst being inoffensive, though its interior is accommodating. The X5 "looks like pretty much any other crossover," says MyRide.com, which says its tall cabin has good outward vision, thanks to big windows and big side mirrors. Car and Driver points out that the new X5 is wider and longer than before. The 2010 X5 reflects its Bimmer heritage. Four models make up the X5 lineup. The X5 M tops the range, with the xDrive35d diesel, xDrive 30i 6-cylinder, and xDrive48i making up the rest. None has a particularly distinctive look versus the others, though M versions have deeper front-end air dams and big wheels. All trims sport BMW's twin-nostril grille and a functional roof spoiler, Kelley Blue Book says. Cars.com calls the cabin "sleek and purposeful". MyRide.com thinks the X5 surrounds drivers with "luxury and truckness." Edmunds calls it "elegant" from its "gently curved" dash to its "handsome wood inlays." The performance and handling of the 2010 BMW X5 is superb, and the X5 M is almost without rival. Several levels of performance can be had, with two standard gasoline models--the xDrive30i and xDrive48i--joined by the xDrive35d diesel and the high-performance X5 M. Sportier than most and more efficient than some, the 2010 BMW X5 is definitely not an average SUV. Performance diesel-powered X5 remains impressive, but it's the all-new X5 M that really pushes the envelope. 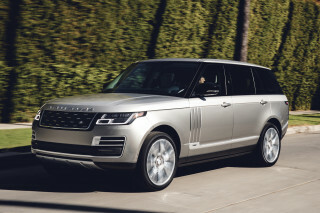 Cars.com says the diesel engine pushes the SUV around "like a freight train," and it's the preferable daily driver to the V-8-powered xDrive48i. Popular Mechanics proclaims the X5 delivers strong thrust" beyond the SUV standard. Fuel economy sits at 15/21 mpg or 18 mpg combined, Edmunds says. Cars.com calls the base engine "venerable" and cites its 360 hp and 225 lb-ft of torque. 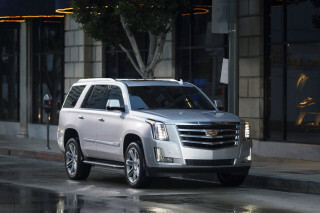 The 4.8i has 350 hp and 350 lb-ft of torque. Car and Driver thinks that the 3.0si is "enough for most." Edmunds clocks a 0-60 mph time of 7 seconds. 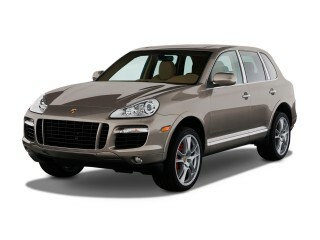 Cars.com puts it at 7.8 seconds, while the 4.8-liter takes 6.4 sec. Towing performance is good with any package; Cars.com reports the 6- and 8-cylinders can tow "up to 6,000 pounds." The X5 M's 555-hp twin-turbo V-8 and 6,600 pounds of towing capacity take it a step further, though Edmunds notes this drags down fuel economy to "12 mpg city/17 mpg highway and 14 mpg combined." All three available powerplants have variable valve timing that boosts both efficiency and performance, Kelley Blue Book says. Car and Driver thinks the balance us perfect: Even in heavy driving, the engines are "eking the most out of every drop of gas." The automatic transmission in the X5 is "right up there with the best of them," says Cars.com. "Shift quality is excellent." Edmunds declares "the X5 M is simply one of the best high-performance SUVs on the market." Car and Driver says the X5 has "responsive steering, powerful engines, and a taut chassis," which give the X5 a connected feeling absent in most SUVs. Cars.com says the X5 "always feels stable and under control." Car and Driver praises the "natural-feeling steering." Comfort and utility certainly don't take a backseat in the X5. With three rows of seating, the 2010 X5 has ample room for seven passengers and plenty of space for your gear and groceries. Front seat passengers get most of the amenities, though rear seat comfort is still very good. Interior fit and finish is characteristically BMW--close tolerances and quality materials abound. Car and Driver calls the interior "comfortable and spacious" but warns that "third-row space is tight." Edmunds pulls no punches, noting the "optional folding third row is best suited for children and gymnastically inclined members of the Lollipop Guild." MyRide.com also likes the "front/second row comfort," but finds little to love about the "third row comfort" of the 2010 X5. The X5 has plenty of places for stowing cargo, even fitting bins to the doors to help maximize available cabin space. Cars.com notes that "the cargo floor boasts nearly four extra inches of length compared to its predecessor." MyRide.com likes the storage bins in the front doors and the "clever clam shell glove box" that has room for more than just the owner's manual. A deep center console and pockets on the back of each front seat help keep clutter in the cabin to a minimum. The primary complaint lodged by TheCarConnection.com regarding the interior of the BMW X5 is the "flimsy plastic" panels covering the opening of the ski bag and the hinged tailgate. The plastic handle of the cargo area's locking bin is also considered flimsy by some. Edmunds likes the interior, calling it one of BMW's "most elegant." MyRide.com notes that, in general, the BMW X5's "plastics...have nice grain surfaces or are finished to look like aluminum." ConsumerGuide hears "some engine noise and coarse-surface tire thrum, but otherwise, the 2010 BMW X5 is pleasantly quiet." MyRide.com warns, "Large mirrors do come with a drawback: wind noise." They also find "some road noise," but they expect it, given the large, grippy tires. 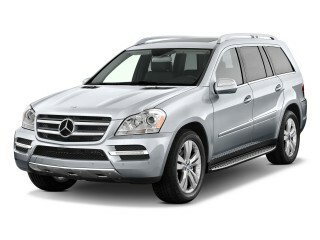 Safety is clearly a priority with the 2010 X5, with strong fundamental design backed up by plenty of technology. The X5 is an IIHS Top Safety Pick, also taking top marks in NHTSA crash tests, earning 5 stars in most tests, except for a four-star frontal impact rating for passengers and a four-star rollover rating. Edmunds points out BMW X5's standard "antilock brakes, traction control, stability control, brake drying and standby." Regarding the last feature, Cars.com explains it keeps "the discs clean during inclement weather" to maintain short stopping distances. Kelley Blue Book likes the higher-tech features such as "Hill Descent Control" and "two-stage front, front seat-mounted side and front and rear head-curtain airbags," which come standard on the 2010 X5. Cars.com praises the adaptive brake lights, which "illuminate over a wider area under heavy braking." Edmunds observes that the parking sensors can help avoid minor fender-benders, while MyRide.com notes the safety-enhancing "anti-roll stability system and run-flat tires as part of a Sport Package." ConsumerGuide warns that "rear headrests partially block the view astern, but visibility is good otherwise, aided by available front and rear obstacle detection." MyRide.com concurs, finding "good visibility all around," thanks to 2010 BMW X5's large mirrors, big windows, and rearview camera. The 2010 BMW X5 has lots of standard features, including the frustrating iDrive, but also offers many upgrades. 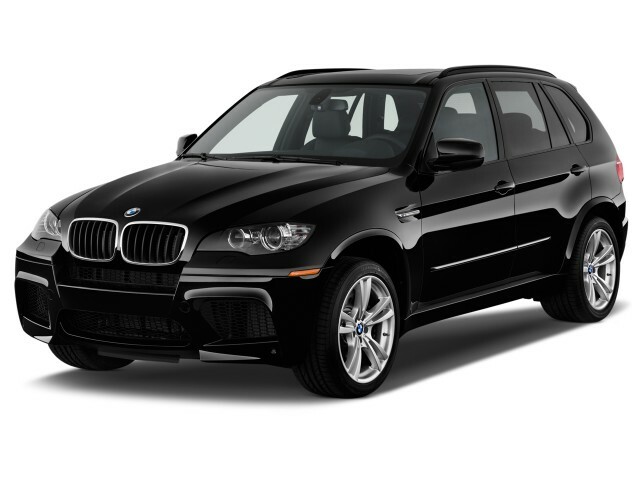 The X5 is a luxurious ride that can be pushed over the top to fully loaded. The only real complaints with the X5 can be traced back to the curiously complex iDrive controller responsible for audio, navigation, and climate control. All 2010 BMW X5s get standard "remote operating one-touch power windows, dual-zone automatic climate control and AM/FM/CD/MP3 12-speaker audio with auxiliary input." The 4.8i model "features numerous additional items, including leather and a choice of wood trims." 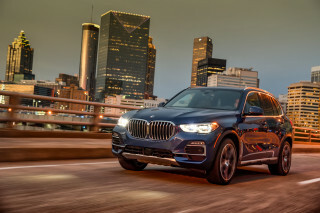 Kelley Blue Book points out that the X5's "generous allotment of standard features" includes BMW's xDrive all-wheel-drive system, 18-inch alloy wheels, all-season run-flat tires, a panoramic sunroof, and xenon headlamps with automatic control. Cars.com likes the "large information screen" that "sits front and center," although they dislike the "confounding iDrive" system. They note that the complicated iDrive can be circumvented using "six programmable buttons on the center stack." An available 6-CD changer has an "outdated" design that puts it "in the glove box." A rear-seat entertainment center with an 8-inch screen is also available in the 2010 BMW X5, and Edmunds reports the 2010 X5's Premium Package adds "leather upholstery (3.0si), power lumbar support and an auto-dimming rearview mirror" to the standard equipment. Delay warnings and directions via FM broadcast from Clear Channel Communications make the navigation package more useful than some, says Cars.com. They note that front and back heated seats, keyless ignition, a panoramic roof, parking sensors, and a head-up display can be ordered.